Mississippi Attorney General Jim Hood is pushing Google to take more steps to prevent online piracy. 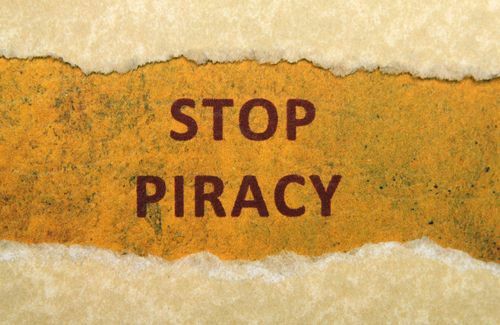 Hood is accusing Google of being “unwilling to take basic actions to make the Internet safe from unlawful and predatory conduct, and it has refused to modify its own behavior that facilitates and profits from unlawful conduct.” There is no doubt that piracy is a serious issue online, but although Google needs to do a better job to prevent online piracy, the internet giant can’t do it alone. You need to be monitoring your own content to make sure it is not being duplicated, scraped or pirated. Set up a Google Alert. If you are monitoring your brand name you will not only find potential link opportunities, but could be tipped off to your content being displayed on other websites. Do a simple search for your content. If you take the first paragraph of your homepage and complete a search for that content in quotes, you may be surprised at what you find out there. Low-quality SEO programs will reuse content from your website for external websites and local citations. This creates duplicate content issues, will hurt your rankings and is not the original intent of the content. Do not submit content on your website to article submission websites. These websites are meant for people to reuse content, so when you submit yourself it isn’t considered pirated. However, if the content is also located on your website this will create duplicate content issues, and if you have contextual links this will also create an unnatural backlink profile. Article submissions were recommended in the past by a lot of SEO companies, but are no longer best practice. Search for others who are using your content, or determine if you have duplicate content issues, by submitting pages to Copyscape. This tool can be useful, but isn’t fool proof. If you find someone using your content, you should contact the webmaster to request that they remove the pirated content. If that doesn’t work, you can report pirated content to the Software & Information Industry Association. If you have duplicate issues within your own website, Google Webmasters Tool will report duplicated titles and Meta tag descriptions. If your website violates one or more of Google’s quality guidelines, then Google may take manual action against it. Once you have remedied the problem by removing or disavowing, you can submit your site for reconsideration. If you think your content has been pirated, or if you have been dinged by Google for duplicate content issues, contact the SEO team at Foster Web Marketing and we will complete a free website audit that will analyze your online presence and give you an action plan for what to do next.